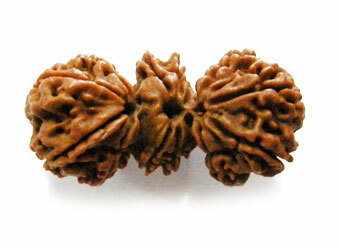 Three naturally joined rudrakshas are a rare phenomenon. This bead is also know as Gauri Paath or Brahma - Vishnu - Mahesh (The Trinity of God) It is very powerful to give universal appeal and empowers the wearer with great achievement and confidence. 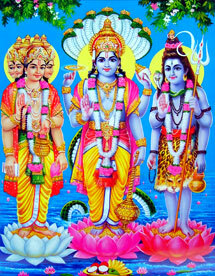 An Indra Mala (1 to 21 mukhi) is not considered to be complete without a Trijothi.